Paris. For ones, the city of love. For others, the city of fashion and haute couture. For me, both. It's such a perfect city! I loved everything of it. The monuments, the people, the metro, the coffeehouses, the smell of it, the streets and all the fashion and casual ambient that surrounds it. I would love to live there! 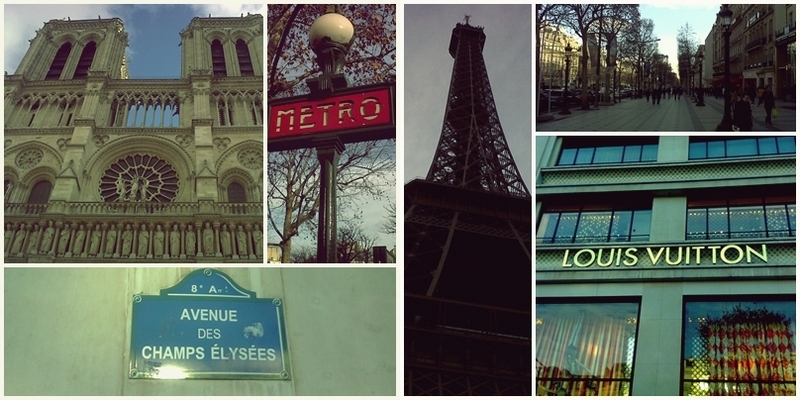 I traveled to Paris on January of 2013, and I can't wait to come back! Actually, I'm already planning a long weekend there with my boyfriend. I can't wait. Paris. Paris uns a cidade do amor. Para outros, a cidade da Moda e da Alta Costura. Para mim, as duas. É uma cidade tão perfeita! Adoro tudo. Os monumentos, as pessoas, o metro, os cafés, o próprio cheiro da cidade, as ruas, e o ambiente casual que circunda Paris. Adoraria viver lá! Estive em Paris em Janeiro de 2013 e mal posso esperar para voltar! Estou a planear um fim-de-semana prolongado com o meu namorado lá, can't wait.